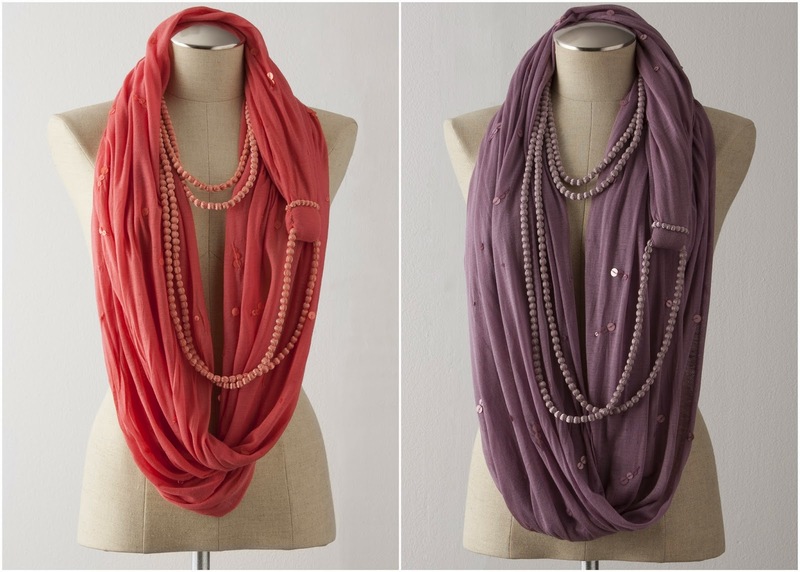 Meet our new friend from Italy, the Jersey Bead Infinity Scarf! One continuous, fluid loop of layered fabric and rope beads, this beauty blurs the line between jewelry and textile. The range of flexibility extends beyond the mixture of materials... there are also many ways to wear this scarf depending on your mood or occasion. Designed by Laurence and her team in Como, she kindly demonstrates these styling options. It is one of the best infinity scarf's today. It is so stylish and you can wear it along with the jewelries. It is perfect for the parties, so PRETTY! :) Thanks for sharing!